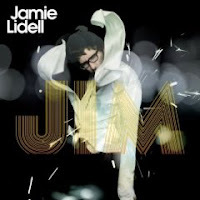 Wow, what a great follow up album from Jamie Lidell. 2005's "Multiply" was easily one of my favourite albums of that year, and I even wondered whether he'd be able to make anything as good for a follow up album. Well I was well and truly wrong! "Jim" is the perfect album for the summer and is chock full of feelgood tunes. If you like the sound of that make sure you check out the first single "Little Bit Of Feel Good", and the newest track to be taken from it "Another Day" - also the album opener. By all accounts his new live show is outstanding, so if he's playing in a town near you make sure you go along and see him play! Highlights from "Jim", other than the singles, are "Out Of My System" and my personal favourite "Figured Me Out". This is well worth the money so get out there and buy it pronto! Like Minded People iMix #3!